today I start a new series of basic tutorial regarding the use of FLOSS (Free/Libre and Open Source Software) in archeology (oriental archeology, to be exact). One of the most difficult thing in doing tutorial is to understand what people needs (especially when the necessities are simple). For this reason, following what the software developers call the KISS principle, I'll take the occasion to record the videotutorial I am doing to help some friends in organizing a project in which we should participate. The mission regards an archaeological expedition in the Hrazdan river valley (Kotayk region, Armenia) and it is a collaboration between the IsMEO (it: Istituto Italiano per il Medio e l'Estremo Oriente; en: Italian Institute for the Middle and Far East) and the ISMA-CNR (it: Istituto di Studi sul Mediterraneo Antico; en: Institute of Studies on Ancient Mediterranean See). The project is leaded by the Italian archaeologists Manuel Castelluccia, Roberto Dan, Riccardo La Farina e Mattia Raccidi. I will record these tutorial answering the questions I receive day by day from the Italian team in order to meet their basic needs. 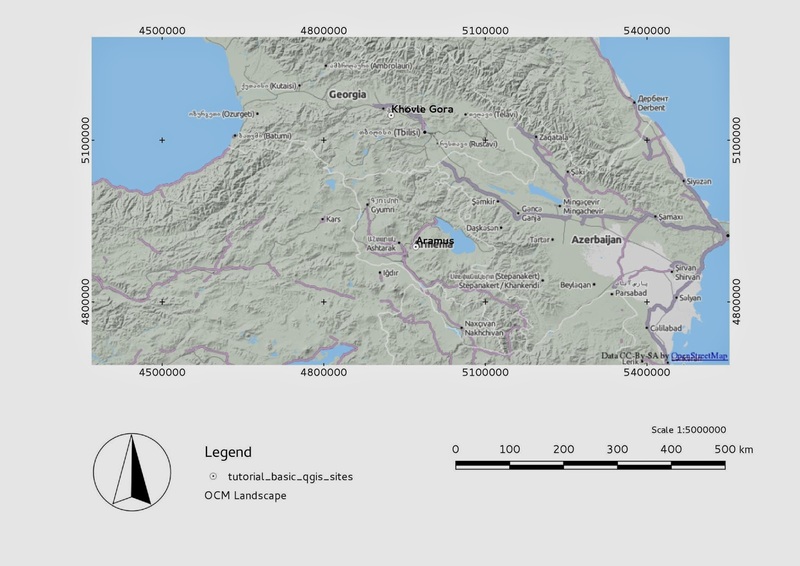 The first problem regards how to create simple maps to illustrate the project using a GIS (instead of closed raster and vector image software). Obviously the series of tutorial will be inspired by the FLOSS philosophy, so, as I wrote, just this kind of tools will be used (in particular the operating system you see in the video is my testing version of ArcheOS 5, not yet released...), but this means also that will be used just open data. For example one of the first task to face will be to find open geographic data to trace our maps: normally it is not a good idea to present our works using Google Maps or Google Earth, due to the restrictions on this material, which I suggest to read carefully (quote from the Google Permission guidelines: "You may not use Google Maps or Google Earth as the basis for tracing your own maps or other geographic content"). For these reasons, the first videoturial shows how to use a simple GIS (Quantum GIS) to set up a fast project. Initially we will install the plugin OpenLayers to allow us to use open geographic data (like OpenCycleMap from OpenStreetMap) to trace our maps (in the Projected Coordinate System WGS84/Pseudo-Mercator). Than we will add a new vector layer (by now we will use a shapefile, but later, when a real database will be defined, we will introduce the SpatiaLite format), using some open data from the Innsbruck University projects in oriental archeology (Aramus and Khovle Gora, leaded by Walter Kuntner and Sandra Heinsch) and setting a very simple database schema. After we will fill the attributes of our two example sites and choose some graphic parameters (using for this purpose the same attributes). Finally we will do a very simple layout (the one you can see in the image below).